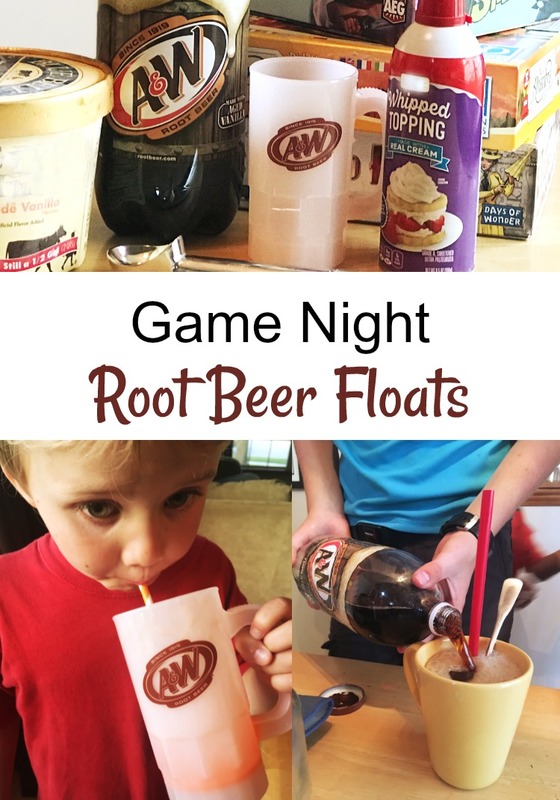 There’s nothing quite so refreshing as a parent, to get together with other adults and enjoy some good games and a root beer float. This post is sponsored by A&W. All opinions are my own. When I was a kid, we didn’t have all the electronics we do now. Our screen time consisted of Saturday morning cartoons, and 3 1/2 inch floppy discs of Crystal Caves and the Oregon Trail. While I loved the TV and our DOS game systems, my favorite time spent as a child was sitting around the table playing board and card games. It wasn’t really a game night without some kind of snack to go along. We’d have bowls of candy, chips with dip, sometimes even a veggie tray, but it was a rare occasion that A&W Root Beer was not present. Nowadays, my favorite night of the week is when we get together with Mark’s brother and his family. Games are always a must, and treats – well they’re the icing to the night. 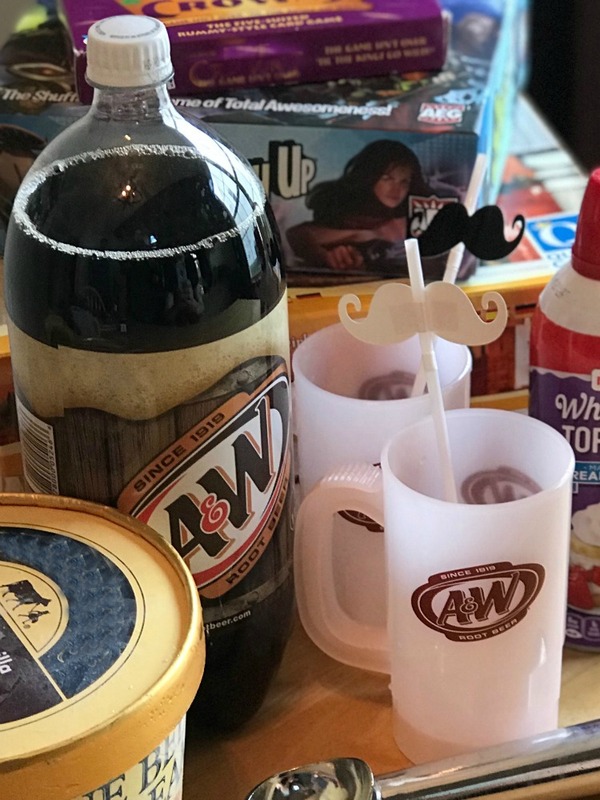 For our last game night, we pulled out all the stops with good old fashioned Root Beer Floats. 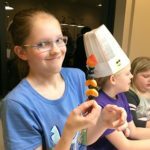 Similar to choosing what game to play, when making our Root Beer Float, we had options. It starts with the ice cream. 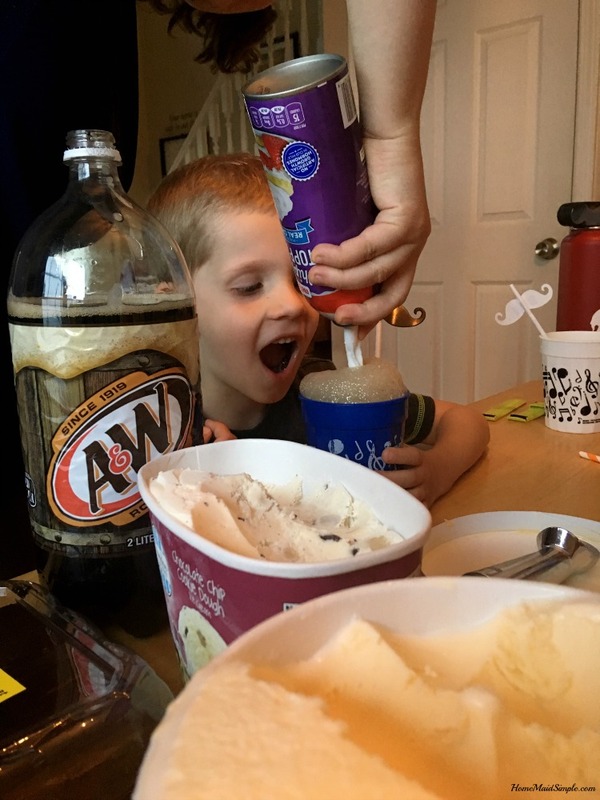 A purist will pick Vanilla, but chocolate, cookie dough, and well just about any flavor of ice cream can find its place in a root beer float. With its rich creamy taste, and sentimental value to my own childhood, the only root beer for a Root Beer float is A&W. 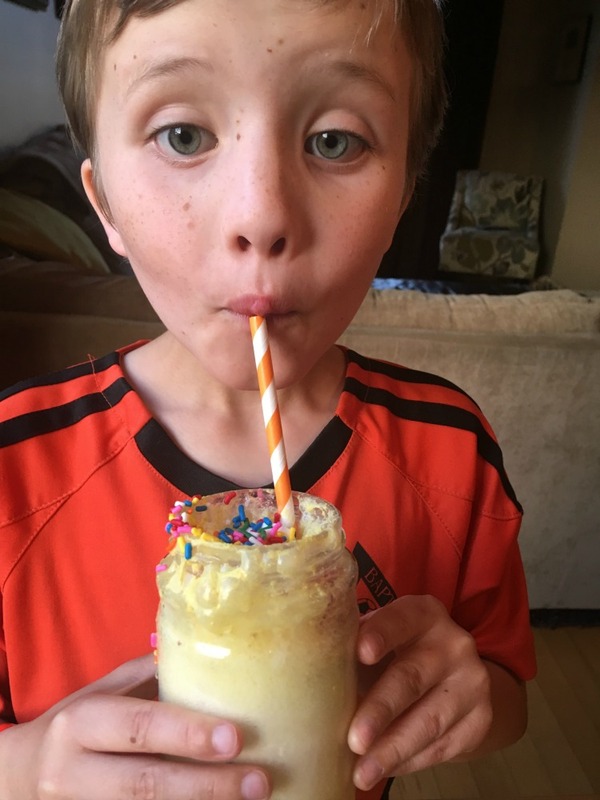 For Root Beer Float Inspiration check this out! The next decision is the toppings. I like to have a good mix, so we had brownies, bananas, sprinkles, chocolate and caramel, whipped cream, and cherries to pick from. Not a kid came through that didn’t try dumping all of the sprinkles into their float. Who can blame them when they make such a fun colorful topping. When my aunt and uncle played games with us as a kid, we still all played. Maybe it was because they had no young kids for us to go play with. These days when we get together there are 9 kids! That’s quite a bit to try and fit into any board game, so sometimes a few will ask to join our game and we let them. More often they want to hang out with each other, usually on one of the myriads of available screens.